← Amazing photos of old English homes. 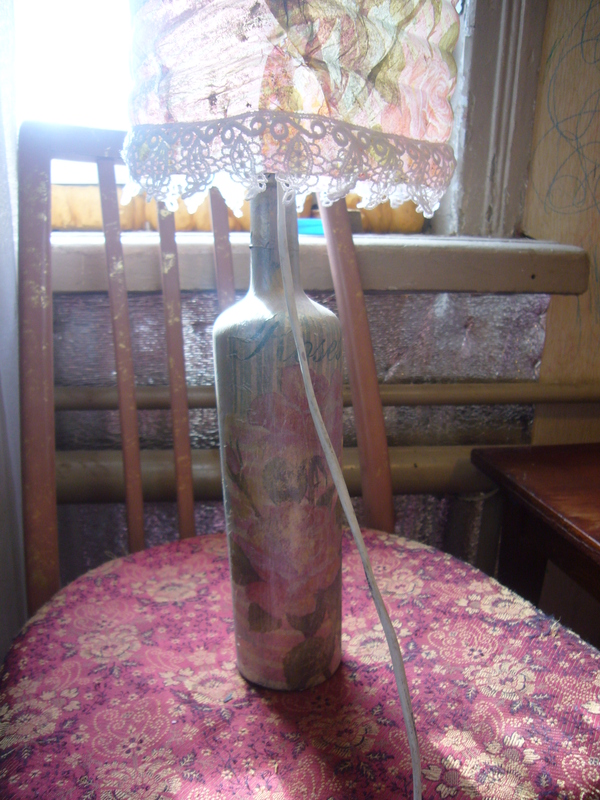 I have already done several decoupaged bottles and one handmade lamp. Here is another handmade decoupaged lamp that did not cost me anything. And, it’s a nice upcylcing idea, as it helps to utilize plastic bottles. 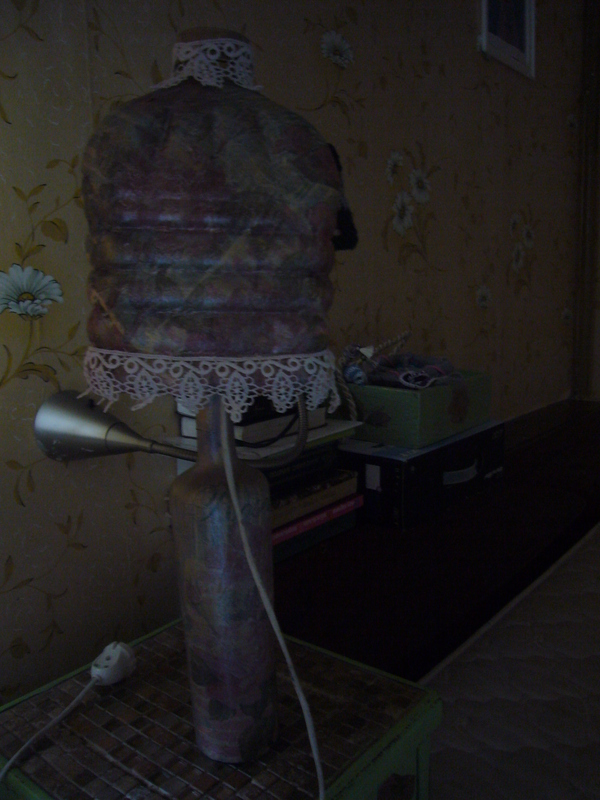 Here is my glass bottle handmade lamp decoupage how to. I used glass wine bottle for the lamp stand. I have decoupaged it, as usual. Painted it and decoupaged with napkins. I used rose pattern to match my bedroom cabinets. I used a large plastic bottle for the lamp shade. I also decoupaged it. First, I tried to paint it, but then apply a napkin. But it does not look good that way. So, I took up another plastic bottle and just decoupaged it all over with the rose napkin. 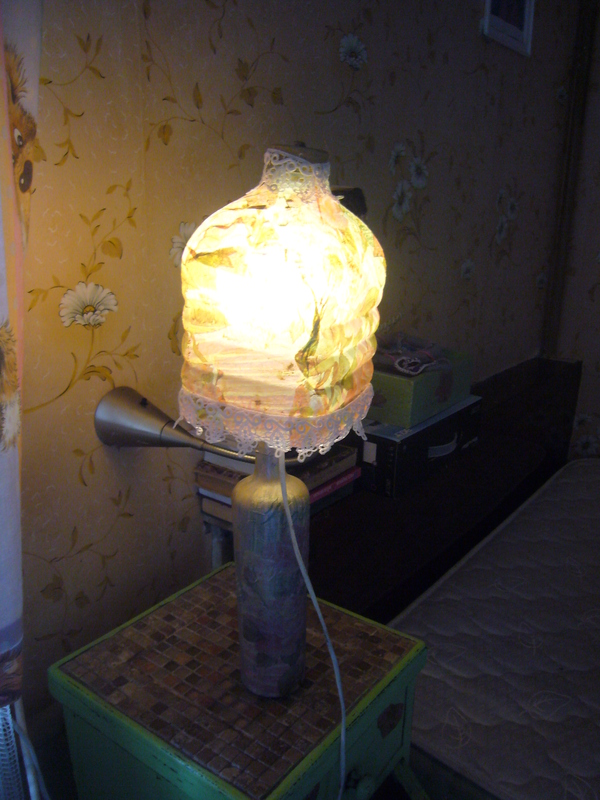 So, as you may see, glass bottle handmade lamp decoupage how to is simple. This entry was posted in Crafting Tutorials, Decoupage ideas, Uncategorized and tagged crafts, decoupage, decoupage how to, DIY, glass bottle decoupage, handmade, handmade lamp, lamp out of glass bottle, plastic bottle decoupage, upcycling. Bookmark the permalink.